Located in Southern Minnesota, Stranshome's program centers around the dairy cow. Their unique hoop barn was constructed a few years ago to house, care and develop her. The barn was built for its superior air flow and lighting. It consists of an enclosed wash rack and flush room with an attached office. 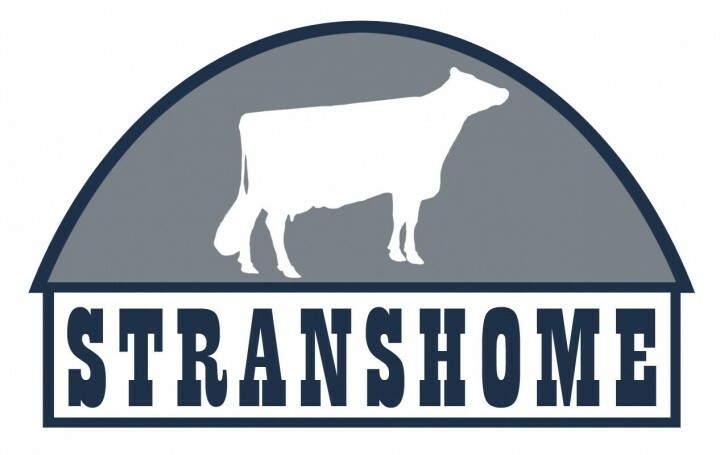 Stranshome enjoys competing with their registered cattle at the local, state and National levels. Some of the girls that currently called Stranshome home are: Jerland Rubens Nan-Red-ET (4x Nominated All-American R&W); Scientific Grace-Red-ET (2x Nominated All-American R&W); Jen-D Devil Tiffany-Red (5x Nominated All American R&W); Blessing Broker Faith (Nominated All-American BS); Red Oak Investment Sal (Nominated All American BS); Quality Ridge Ruben Sandy (Member of All American Best 3 with Hazel); Tri-Day Delectable Adeen-ET (Full sister to Tri-Day Ashlyn-ET); just to name a few. 2010 was a banner year for Stranshome hosting a very successful JK-Stranshome Luau Sale and had many champions and blue ribbon winners out on the tanbark. Highlighted by Stranshome Dundee Daisy, who sold through the JK-Stranshome Luau Sale, being named Unanimous All-American Winter Calf! 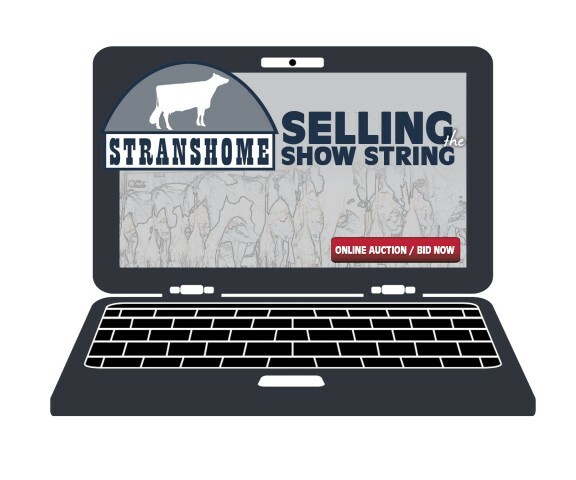 Selling the Show String Online Auction hosted by Holstein Plaza closed today averaging $13,500 on 12 lots and selling to six states and two different provinces. Topping the sale at $33,000 was Lot 4- Springbend Windhammer Slash a four-year-old and the Reserve Grand Champion of the Minnesota State Holstein Show 2017. Slash sold to Springbend Farms Ltd, British Columbia. At $30,000 and the second high seller was Corlane Seaver Misty. Misty is a Senior Two-Year-Old and sold to the Misty Syndicate. 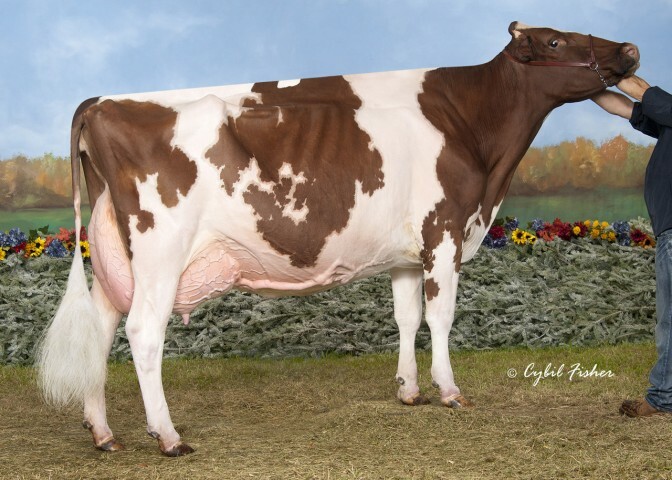 Rounding off the top three sellers was Sunnyside Candy Heztry-Red, the EX-90 Senior Two-Year-Old and All-American Milking Fall Yearling from 2016. Candy sold for $26,000 to the Candy Syndicate. Thank you to all the bidders and buyers! Selling the Show String ... BID NOW! Selling the Show String starts this Friday! ‘Selling the Show String’ will be held online August 25-29, 2017. There will be 13 elite animals selling that will arrive at Minnesota State Fair on August 28 and be ready for viewing! Make sure to take a closer look at this impressive lineup. 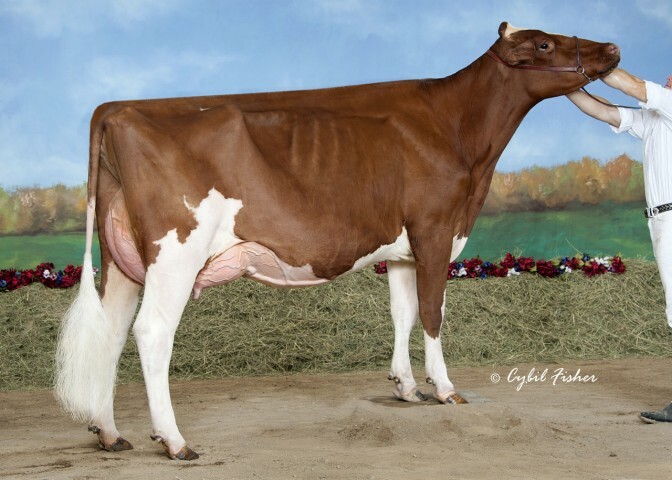 Stranshome have exciting day scoring cows, a couple of the highlights being... Sunnyside Candy Heztry-RED, a Heztry from an EX90 Destin, the 2016 Unanimous All-American Red & White Milking Yearling scored EX-90 @2-10 w/ EX 91 MS. Also highlighting, Strans-Tola Ability Brit-ET VG-88 @2-10 w/ VG 88 MS owned by, Joseph, Zach, Jerome & Darian Stransky, MN. Mark your calendars! Stranshome is Selling the Show String which will be held online August 25-29, 2017. Selling will be one of their best lineups top to bottom and they're making them available to you! The show string will arrive at Minnesota State Fair on August 28th and will be ready for viewing. The sale will also be available directly online through Holstein Plaza at www.sellingtheshowstring.com. The 2017 Red & White Convention Sale will be held this Friday June 9, 2017 at the Dodge County Fairgrounds in Kasson, Minnesota. There will be several exciting animals selling from Holstein Plaza members. 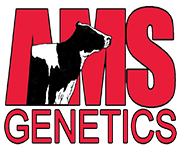 Holstein Plaza members Peak Genetics, Larcrest, Butlerview, MD-West-View Genetics, Speek-NJ, Stranshome and Sunview Holsteins each send some of their most exciting females to the Crown Jewel II Sale which is held on May 23rd at the Frederick Fairground in Frederick, MD. The Sale starts at 11 AM EST. CLICK HERE for more information regarding the consignments. A tremendous consignment from Stranshome to the Quest for Success II Sale, selling as Lot R1 is a September 2014 Barbwire daughter of the Grand Champion of the International R&W Show 2014 Strans-Jen-D Tequila-Red EX-92. 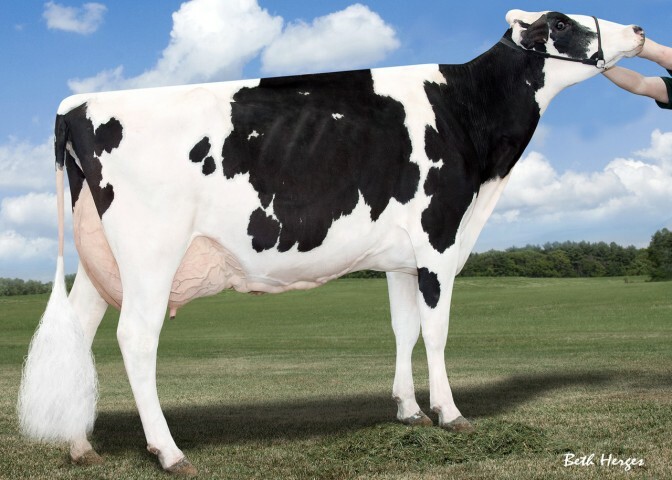 Tequila is the Unanimous Alll-American Sr. 3-Yr-Old 2014 and also nominated All-American Sr. 3-Yr-Old B&W 2014 and nominated All-Canadian Sr. 3-Yr-Old 2014, the next dam is the decorated Jen-D Devil Tiffany EX-95 2E an 7x All-American R&W Nominee! 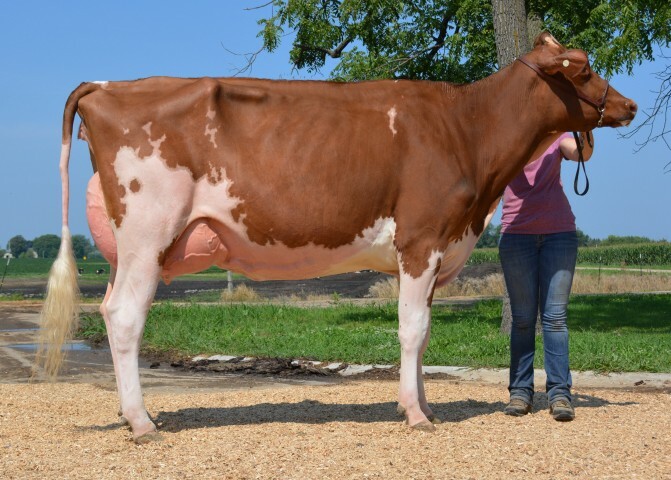 The maternal sister to the calf selling is Ms Toaster Waffle-Red, nominated All-American R&W Summer Yearling 2014! 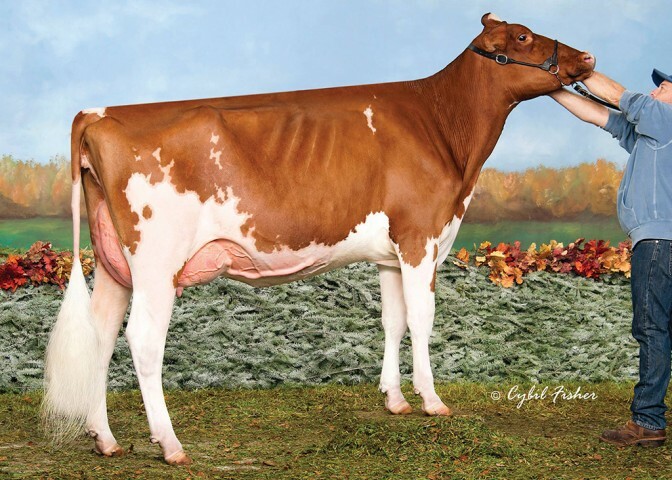 Strans-Jen-D Tequila-Red EX-91 won Grand Champion of the 2014 Grand International Red & White Holstein Show. Tequila was the winning Senior Three-Year-Old and Intermediate Champion, sired by Scientific Director and from Jen-D Devil Tiffany-Red EX-95. She is owned by Milksource Genetics. Reserve Grand Champion and Senior Champion went to the winning Five-Year-Old, Luck-E Advent Kandie-Red and Honorable Mention Grand Champion to the winning 125,000 lb. cow, Blondin Redman Seisme. Tremendous days for Stranshome at the Minnesota State Fair, the recently sold Strans-Jen-D Tequila was the Supreme Champion today after she was crowned Intermediate & Grand Champion yesterday. Her dam Jen-D Devil Tiffany EX-95 was Senior & Grand Champion a day earlier at the R&W show. CLICK HERE to read more Stranshome highlights. A fantastic group of high type cows of and heifers passed through the sale ring yesterday at the Stranshome Luau II Sale averaging over $7200 on over 100 lots. Kicking off the sale was Ms Lyla Gold Lilac, the fall yearling donated by the Stransky, Conroy and Borba families with proceeds to benefit Patricia Stiles and Reese Burdette. Lilac sold to the syndicate for over $54,000 and was resold for $6,000 bringing the total to over $60,000 raised. High seller of the day was Lot 74 Stranshome Gold Annice, a beautiful fall calf ready to hit the tanbark and backed by a deep All-American pedigree. Annice sold for $60,000 to Jeff Butler, Chebanse, IL. Second high seller and the red Redliner maternal sister to Annice, Lot 71 Ms Stranshome AlltheWay-Red sold for $37,000 and will show as a senior three-year-old this year. Today Jen-D Devil Tiffany-Red went EX-95, Tiffany was recenlty second in the aged cow class and 1st Bred and Owned at World Dairy Expo and is 5x nominated All-American. Her Director daughter Tequila scored VG-89 @ 3-00 and there are more daughters coming. 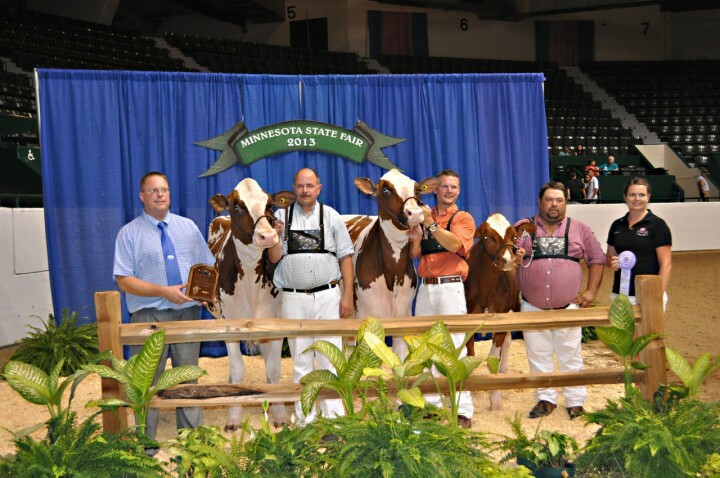 Maternal sisters, Stranshome Simply-Red-ET (Contender x Quality-Ridge Ruben Sandy) and Stranshome Sparx Fly-Red-ET (Redliner x Quality-Ridge Ruben Sandy) were name junior and reserve junior champion of the 2013 Minnesota State Red & White Show, respectively. Congratulations! 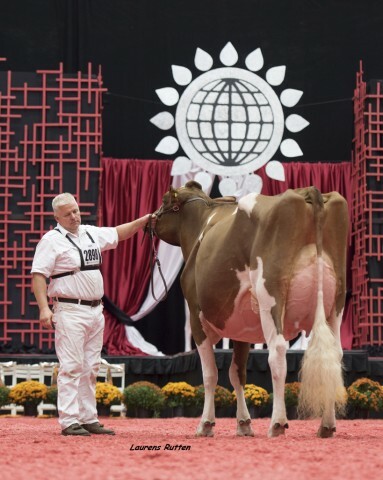 Jerland Tal Giovanna-Red was named Grand Champion of today's Minnesota State Red & White Show. 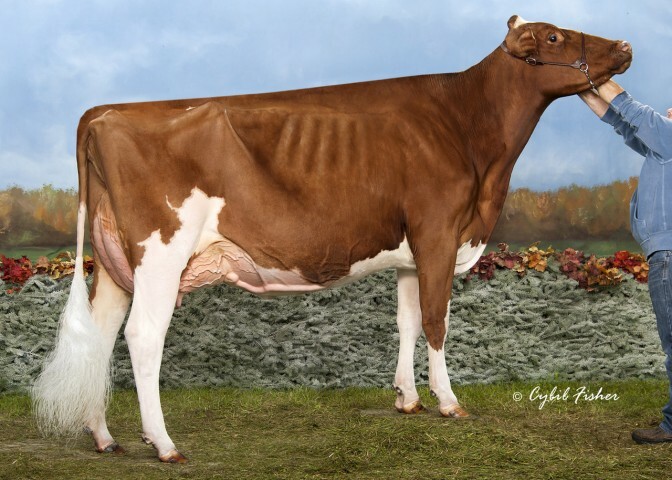 Giovanna is the Excellent-92 Talent daughter of Scientific Grace-Red and a 9th Generation Excellent Red Roxy. Reserve Grand Champion and Intermediate Champion honors went to Strans-Jen-D Tequila-Red, the winning senior two-year-old owned by Stranshome and Cliff Helkenn. Junior Champion, reserve junior champion and honorable mention junior champion titles were also captured by Stranshome. Congratulations! Destry x Unanimous All-American Nan! Selling on the Regancrest Summer Select Sale is a full-aged spring calf for 2012! This sporty RED Destry is backed by the 2009 Unanimous All-American Aged Cow Rubens Nan EX-93 95-MS and the great Renita Ranger family! First Choice Dundee from five females born June 2011 and a full sister to the 2010 Unanimous All-American Fall Calf, Stranshome Dundee Daisy. 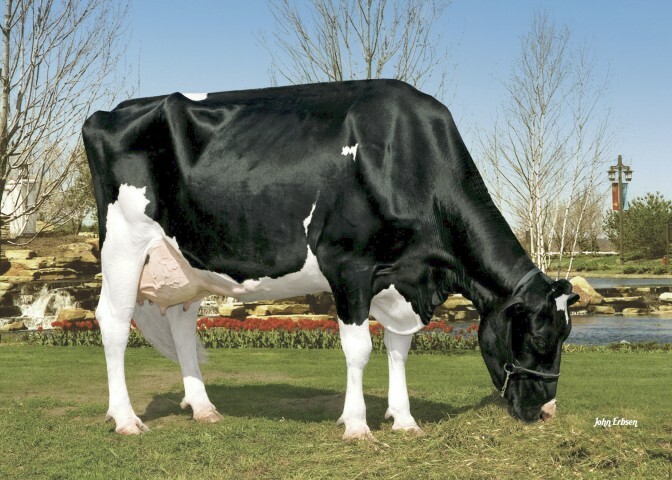 Maternal sister to the dam is Supreme Champion, Integrity Paradise EX-96 DOM. Sells on Saturday, July 30 on the International Intrigue Sale. RED Show-age Destry from 8 generations of EX Roxys! 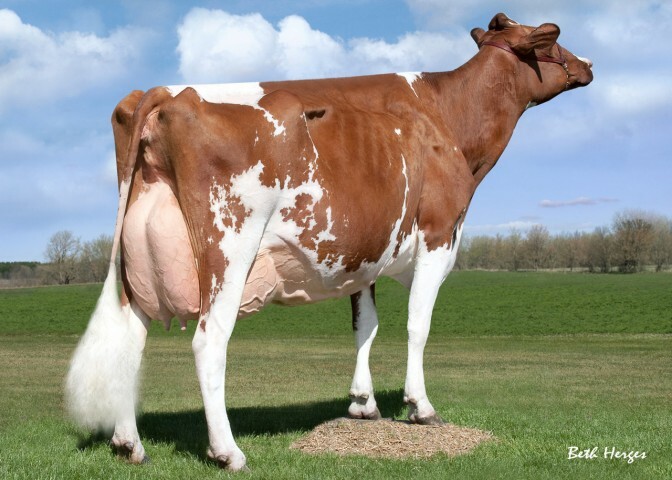 Selling on the National Convention Sale is a RED March 2011 Destry from the EX-91 nominated All-American Scientific Grace-Red. A potential 9th generation Excellent RED Roxy! RED Destry from an 8th Generation EX RED Roxy sells! 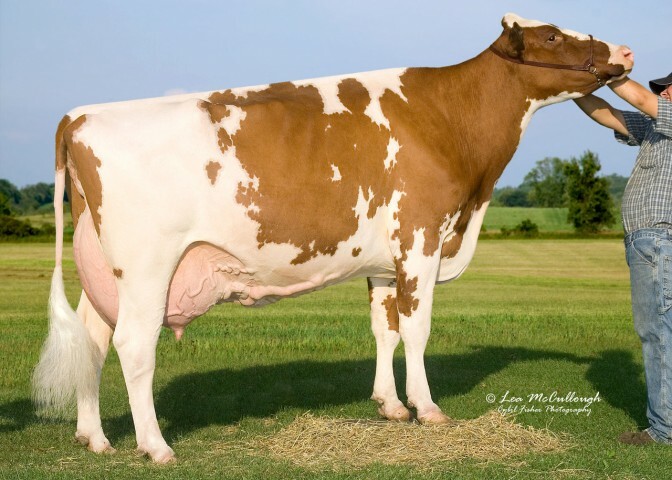 Selling on the Memorial Day Sale from Stranshome is a fancy March 2011 RED Destry from Scientific Grace-Red-ET EX-91, 2x Nominated All-American and the breed's first 8th generation Excellent RED Roxy! 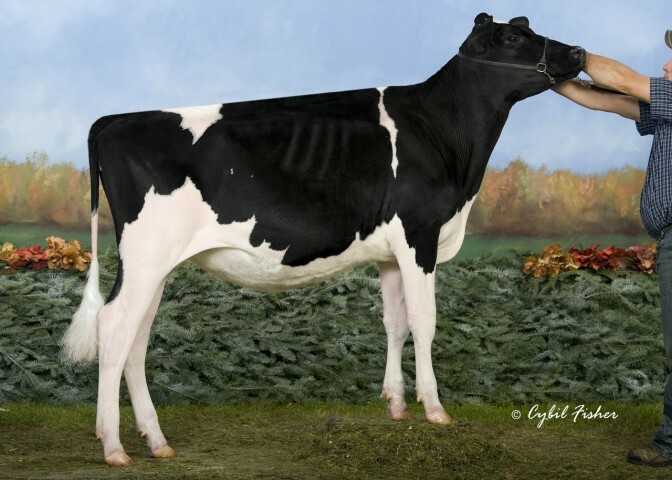 Selling on Friday, May 27 at the Chosen Few sale is a First Choice Advent from Kingsmill St Renaissance EX-90 by Stormatic and a 14th generation Excellent from the Rosa Rebels. Stranshome consignments to RedFest and Dodgeramma! Goldwyn fall calf for the 2011 show season! Dam EX-92 Terrason followed by next 9 out of 10 dams VG or EX! EX-90 Talent four-year-old just fresh and ready to run! Backed by 11 generations VG or EX. Holstein Plaza welcomes new members Reid and Daria Stransky Family, Stranshome. Located in Southern Minnesota, Stranshome's program centers around the dairy cow. Their unique hoop barn was constructed a few years ago to house, care and develop her. 2010 was a banner year for Stranshome hosting a very successful JK-Stranshome Luau Sale and had many champions and blue ribbon winners out on the tanbark. 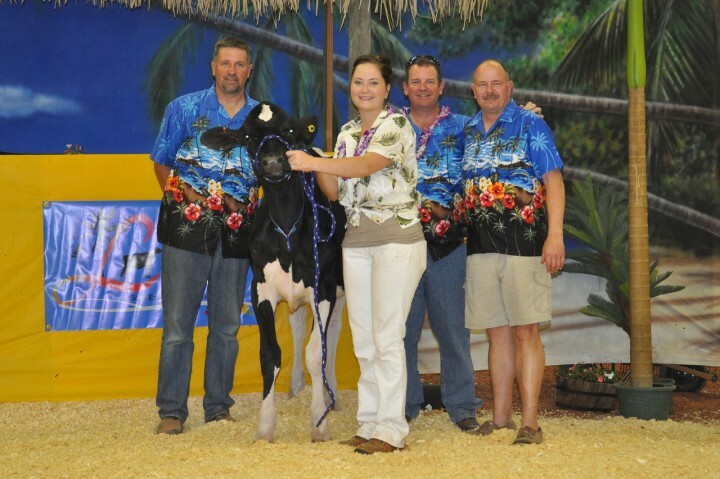 Highlighted by Stranshome Dundee Daisy, who sold through the JK-Stranshome Luau Sale, being named Unanimous All-American Winter Calf! 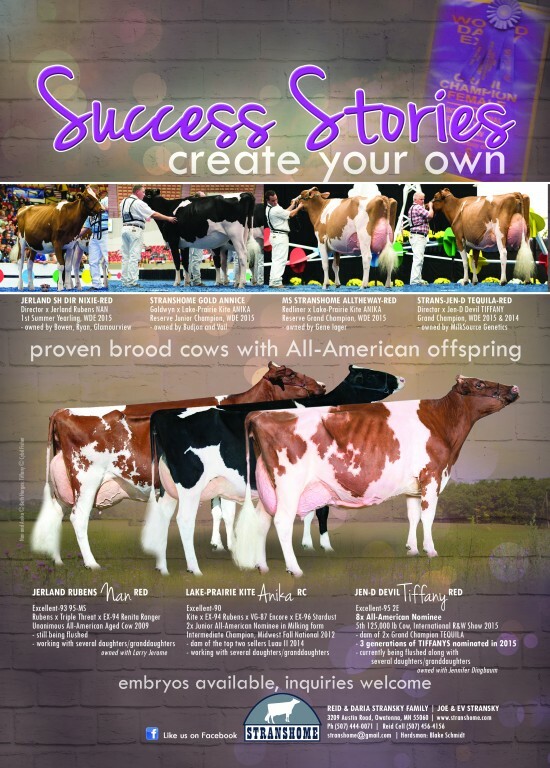 Check out their consignments to the Milksource Main Event... including a first choice offering that is a full sister to the 2010 Unanimous All-American Winter Calf.